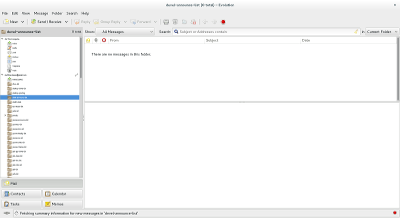 How do I make the sidebar in evolution as narrow as the one in thunderbird, so I can see all my mail folders ? 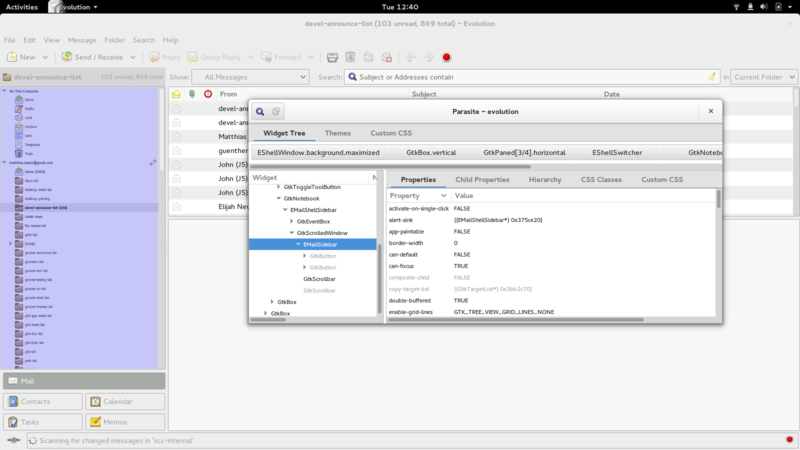 Doesn’t GTK+’s awesome CSS theming make that sort of thing very easy ? 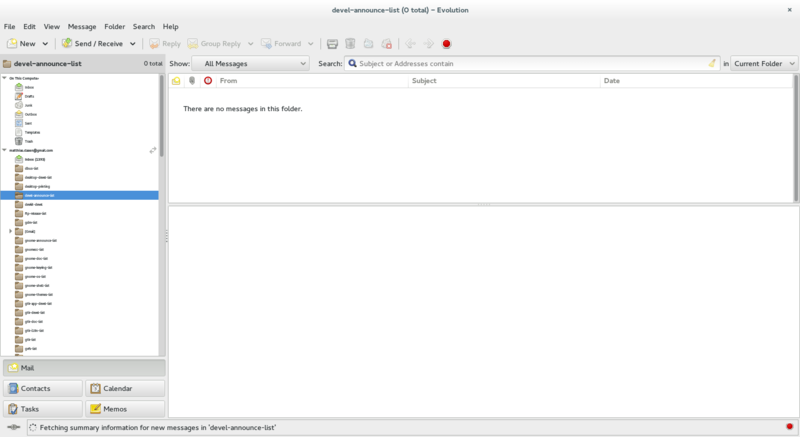 How did I come up with the selector EMailSidebar.view that matches the evolution sidebar ? The answer is, I used gtkparasite, which is a pretty useful debugging tool for this sort of problem. And because it is so useful, we are planning to include something very similar to it in GTK+ itself soon. You can follow this bug to track the progress. And then there’s ~/.config/gtk-3.0/gtk.css to make personal tweaks easier. nice article! thanks. 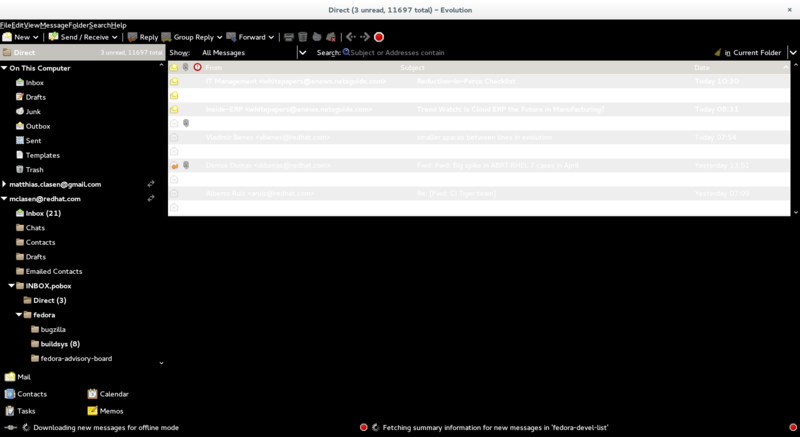 I was able to decrease font size in ECanvas too to see more emails but that spacing is somehow still hidden to me. There is no such property like vertical spacing. Any help? Editing CSS? You’re not serious with this, are you? Such changes should be done by either using a ‘Edit’ menu or by simply dragging the separator and making the sidebar smaller directly in the application. He changed the font-size in the sidebar; for the width you can indeed just drag the handle. Why should dragging the separator change the font size?